EW.com has posted an unfinished deleted action scene from Solo: A Star Wars Story featuring Han Solo in both TIE Pilot and Imperial Cadet Uniforms. Customizers: On your mark, get set, GO! Solo: A Star Wars Story is available as a digital download this Friday and debuts on Blu-ray on Sept. 25. 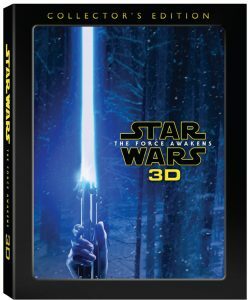 On November 15, a new Collector’s Edition Blu-ray for The Force Awakens will be released featuring commentary from J.J. Abrams, new special features including new deleted scenes. Head over to EW.com for the full details. StarWars.com has updated as well with additional information and images. Head to EW.com for the full details. 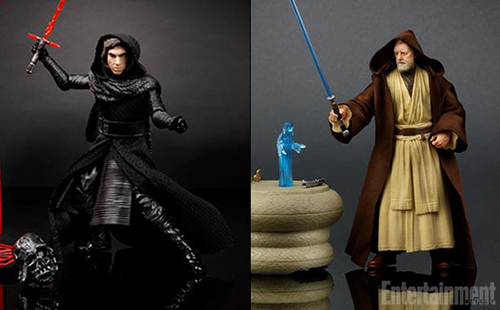 UPDATE: As we shared yesterday via Twitter, Hasbro has confirmed via Instagram that BOTH figures will be available through HasbroToyShop after SDCC. The headline says it all. 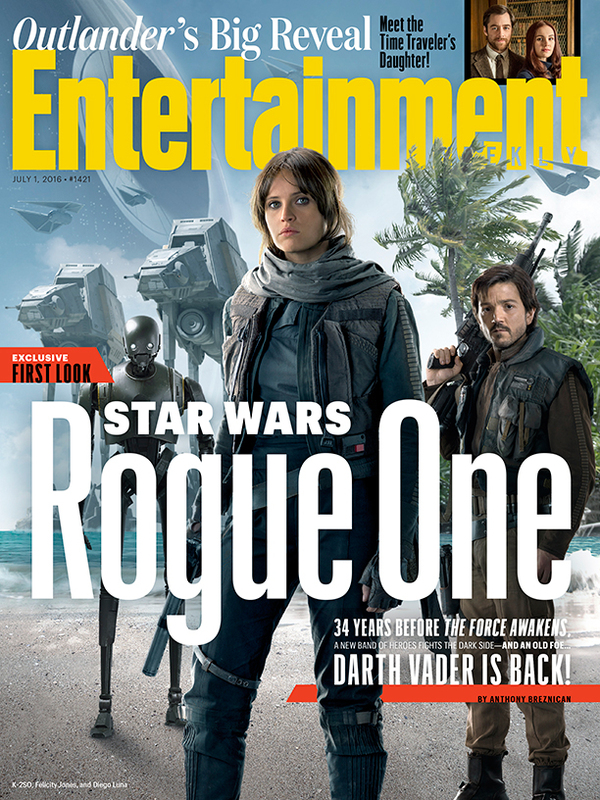 Jump on over to EW.com to check out over a dozen new still from Rogue One! 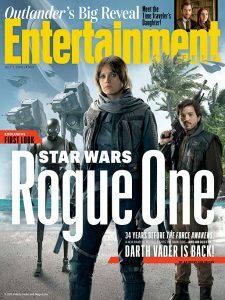 This week’s issue of Entertainment Weekly brings you an inside look at Rogue One: A Star Wars Story, which explores just how the Rebellion came to possess the information that revealed the fatal flaw in the Empire’s super weapon. 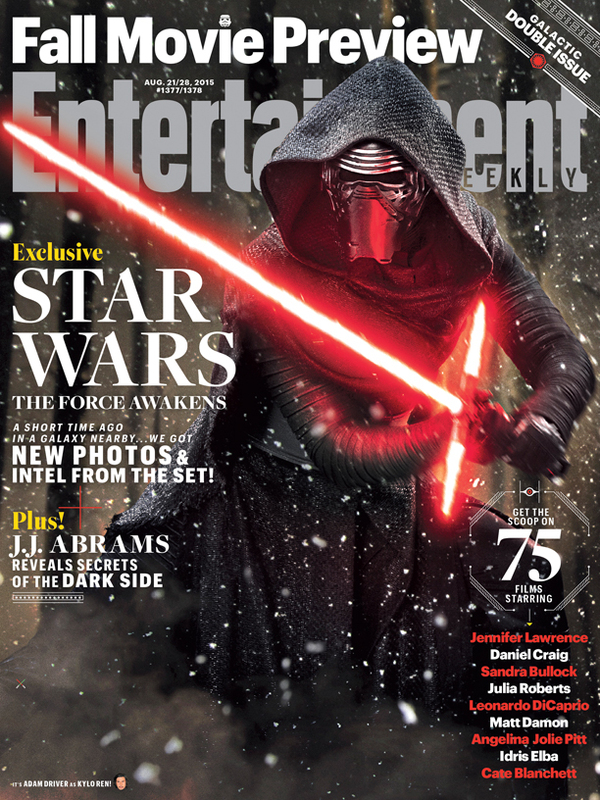 The new Entertainment Weekly is all about The Force Awakens!. The newest issue features new photos, articles and first looks at the sequel. 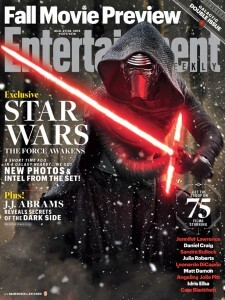 You can check it out now on EW.com with more to come later today and you can grab your issue this August 21st. 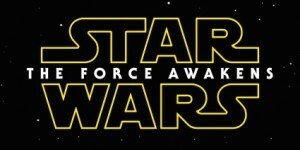 EW.com has posted that fans expecting to see new trailer or even new footage at SDCC from The Force Awakens will be disappointed as there will be none shown. Head on over to EW.com for what you can expect. EntertainmentWeekly has posted an exclusive first look at the Alex Ross homage to Howard Chaykin’s iconic original cover variant for Star Wars #1 coming from Marvel this January.